Go Navy ! ! ! I enlisted in the U.S. Navy because my draft number was up as a result of the lottery, and I did not want to get drafted into the Army or the Marines. My number was 52, and they drafted through number 95 that year. The numbers drafted from the previous years were higher. So my career started out by my going to Boot Camp at Great Lakes Illinois. 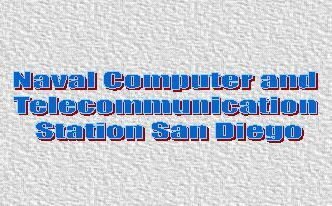 After Boot Camp I was sent to San Diego to attend Radioman "A" school. I would end up with 11 years in the San Diego area and 11 years in Hawaii. I retired in San Diego because the location is great, the weather is great, and besides - who wants to live in snow... 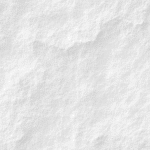 If I want snow, I could drive an hour or two up into the mountains. After my Navy Career, I went to National University to obtain my degree. Shortly after that I moved up to Oceanside where it is also pretty nice. 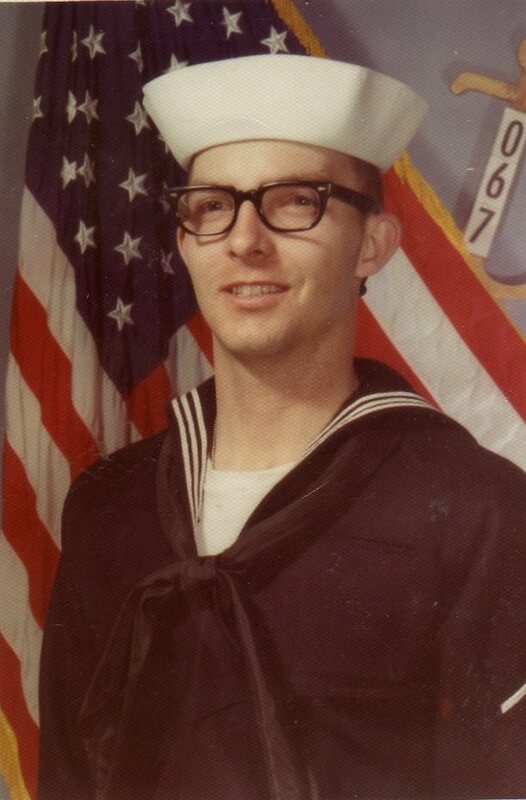 I enlisted at the Naval Reserve Center in Wichita Kansas with the assistance of my cousin Larry. Since he was in the Navy, he wanted to make sure I got a good deal. 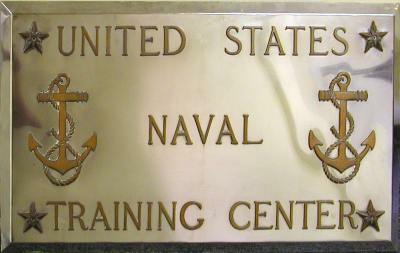 So when I went to Great Lakes, I entered as a civilian and came out an E-2 non-designated Sailor. Back in 1972, boot camp was 9 weeks long. After completion of boot camp, we were all awarded the National Defense Service Medal since VietNam was still going on. Radioman "A" School - May - August 1972 I arrived as an E-2 and departed as an RM3 (E4) - (this cost me a couple extra years). Finished 16 of 47. Radioman "C" School - April - August 1976, pictured above, just roll your mouse over to find me..... I arrived and departed an RM2 (E5). Finished 4 out of 21. Completion of this school awared me the NEC (navy enlisted classification) 2313 which was Communications Systems Manager, later changed to Independant Radioman. 17 September -16 November 1972 I arrived and departed as RM3. 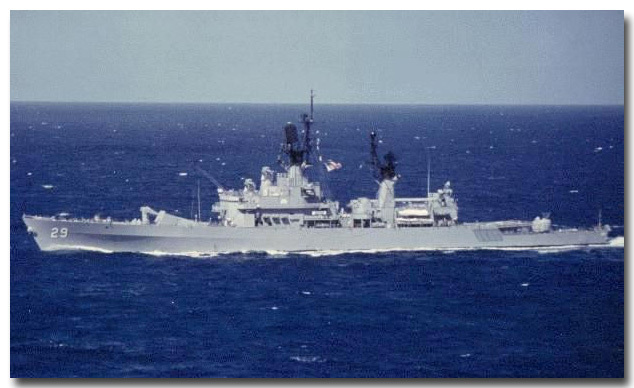 This was my first ship after Radioman "A" School - quite the coincidence since my home town is El Dorado, Kansas. The ELDORADO's call signs were NWDB and DELEGATE. She was home ported in San Diego, CA. 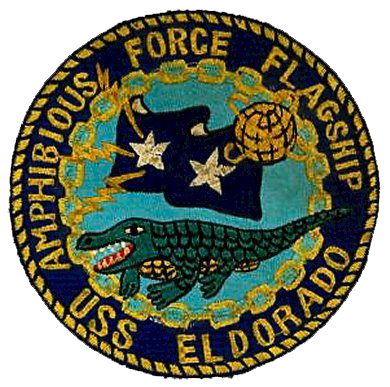 The tour was short because the USS ELDORADO was decommissioned December 1972. 13 January 1973 - 19 March 1976 - I arrived as an RM3 (E4) and departed as an RM2 (E5). 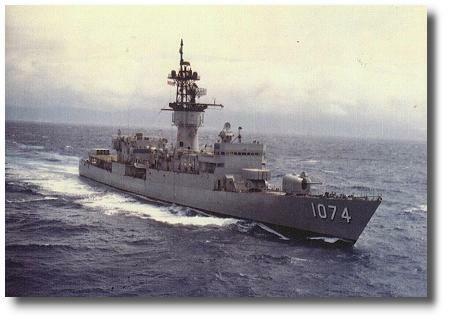 My first re-enlistment was conducted on the USS Jouett on the 12th of February, 1974 by Capt R.F. Stalder, JR. when I was an RM3. I was selected to RM2 16 July 1974. 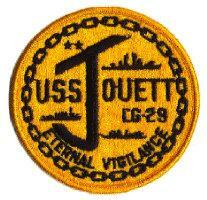 USS Jouett was home ported in San Diego, CA. The Jouett's call signs were NZTV and LOVELAND. 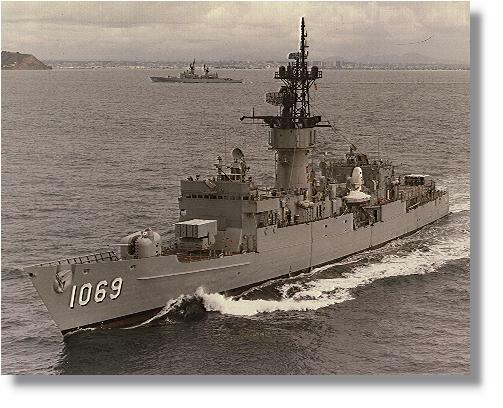 While stationed on USS Jouett, it was reclassified from a DLG to a CG, 30 June 1975. I also received the following awards - Meritorious Unit Commendation, Vietnam Service Medal, Vietnam Campaign Medal, and the Navy "E" Ribbon. To check the ship stats and her disposition, click on USS JOUETT to check her disposition. When I departed here, I headed to Radioman "C" school - advanced communications. 22 August 1976 - 05 September 1979 - I arrived and departed as an RM2 (E5). 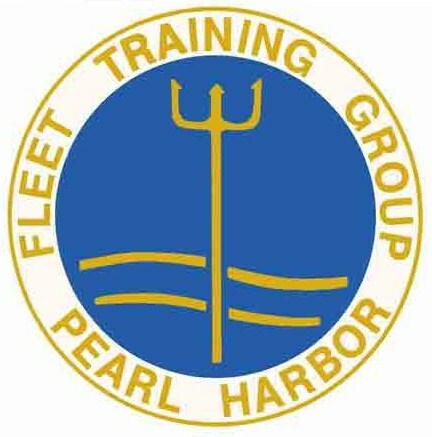 I started working there at FTOC (Fleet Telecommunications Operations Center) for a year then moved on to be the command assistant 3-M coordinator for my last two years. While stationed at NAVCAMS Eastpac, I received my second Meritorious Unit Commendation. The call sign for NAVCAMS EASTPAC is NPM. When I departed NAVCAMS, I had the knowledge of my selection for advancement to RM1 (E6) while I would be in transit to my next duty station. 19 September 1979 - 02 October 1980 I arrived and departed as an RM1 (E6). 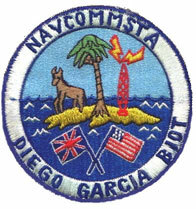 I was stationed at NAVCOMMSTA Diego Garcia and worked out at the Transmitter Site as LPO. Their call sign was NKW. While stationed there, I re-enlisted on 12 May 1980 by LT Dell J. Guidry. It was a great place to visit. I also received the Navy Expeditionary Medal while there. BIOT stands for British Indian Ocean Territory. 16 November 1980 - 30 March 1984 I arrived and departed as an RM1 (E6). 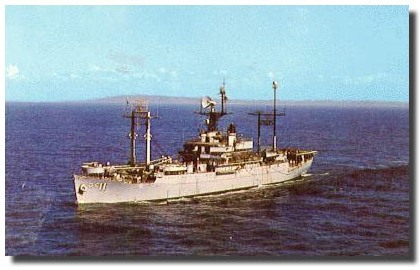 USS Harold E. Holt was homeported in Pearl Harbor Hawaii. I was able to go to TELETYPE repair school, both high and low level. I finished first in both classes 12 students in the high level and 6 students in the low level. I received the Humanitarian Service Medal when the ship picked up Boat People off Vietnam. The call signs are NUIT and DOWNUNDER. When the ship was in drydock, I was able to get my PADI Open Water Diving certification, however after I left Hawaii, I no longer go diving. 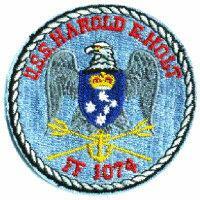 To check the ship stats and her disposition, click on USS Harold E. Holt. 12 April 1984 -22 May 1987 I arrived an RM1 (E6) and departed a CHIEF. The only bad thing about being selected as Chief at this command is that there were a lot of Chiefs at the initiation. Lots of fun!!! I was frocked to Chief 16 September 1985(actual advancement 16Nov85). I earned my Master Training Specialist (MTS) award on 02 May 1986 while teaching both High and Low Level Teletype Repair Courses. 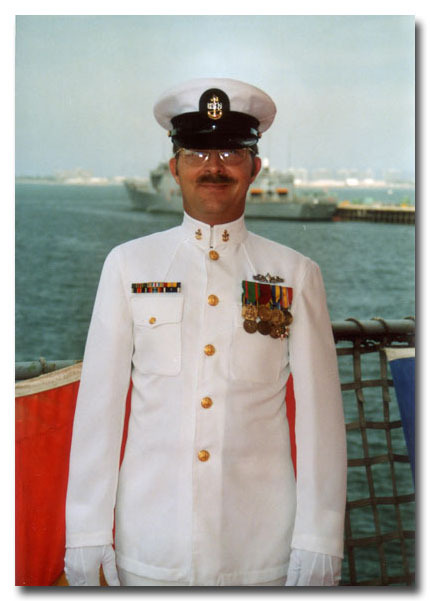 On 08 May 1987, I re-enlisted again at the Pearl Harbor Visitor Center by LCDR J.G. Witherspoon, USCGC..
Voice Call Sign "Proud Dailey"
12 June 1987 - 04 January 1991 I arrived as a RMC and departed as an RMCS(SW). 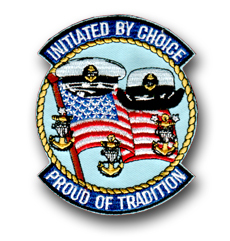 I earned my Enlisted Surface Warfare Specialist on 20 May 1988. I was advanced to RMCS(SW) on 16 July 1990. The ships call signs are NULQ and PROUD DAILEY. On 18 April 1988 we participated in Operation Praying Mantis in SAG "C" (Surface Action Group). We were awarded the following: Combat Action Ribbon, Armed Forces Expeditionary Medal, Joint Meritorious Unit Award and the Meritorious Unit Commendation Ribbon. I was also awarded a Navy Commendation Medal and Navy Achievement Medal. 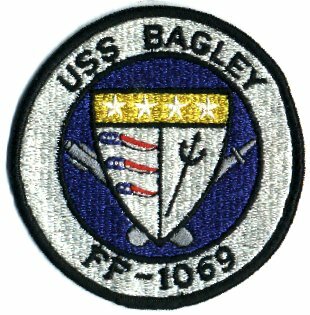 USS Bagley was homeported in San Diego, CA. To check the ship stats and her disposition, click on USS Bagley. 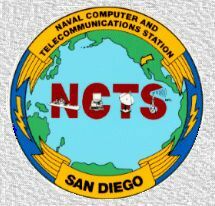 11 January 1991 - 31 July 1994 NCTS San Diego Ca was my last duty station. I was the CMS A&A Training Team Division Officer. While there, I was responsible for the CMS Training Team Inspection for all Navy, Marine Corps and Coast Guard units within a 13 state region in the Western States. Their call sign was NPL. I received my second Navy Achievement Medal at the end of my tour. My retirement ceremony was 12 May 1994. I earned this award on 20 May, 1988 while stationed onboard USS Bagley FF-1069, My board consisted of the Commanding Officer, CDR Keith P. Bersticker, EMCM(SW) Valentino H. Separa, ETCS(SW) Randy Hardin. It seemed like the board lasted for hours. I was able to get the steam cycle out of the way, and then the operation of the 5"54 gun mount. More on this later. . . Having earned this award allows the receipient to place the (SW) after his rate thereby indicating to all that the individual is a Surface Warfare specialist. Starting at the top left: Navy Commendation Medal, Navy Achievement Medal(2 awards), Combat Action, Joint Meritorious Unit Award, Meritorious Unit Commendation(3 awards), Battle Efficiency, Good Conduct Medal(5 awards), Navy Expeditionary Medal, National Defense Service Medal(2 awards), Armed Forces Expeditionary Medal(2 awards), VietNam Service Medal(2 campaigns), Humanitarian Service Medal, Sea Service(4 awards), Overseas Service, VietNam Campaign Medal. You can also move the mouse over the ribbons for the names. Starting at the top left: Navy Commendation Medal, Navy Achievement Medal(2 awards), Good Conduct Medal(5 awards), Navy Expeditionary Medal, National Defense Service Medal(2 awards), Armed Forces Expeditionary Medal(2 awards), VietNam Service Medal(2 campaigns), Humanitarian Service Medal, VietNam Campaign Medal. You can also move the mouse over the ribbons for the names. We hope you stop by and join us as we continue to build on our site. Go Navy!! !